Following news that Facebook allowed 150 partners to harvest users’ data, including their private messages, users are beginning to delete their accounts – and you can’t blame them. Facebook is hitting the headlines with new data breaches on a daily basis. If you also want to join the #DeleteFacebook movement or have your own reasons to quit, you have two options: either take a short break by deactivating your account or delete it and disappear from the ‘social world’ once and for all. There are more reasons than ever why Facebook’s 2.27 billion users might want to consider deleting their accounts. Facebook is increasingly being used as a tool for political manipulation and polarization. Accusations of Russian election interference, the Cambridge Analytica scandal, and the proliferation of fake news are making that abundantly clear. It’s scary how much Facebook knows about us. Every topic you read, every like, share and click is carefully monitored, recorded and stored. Recent slip-ups have revealed how little control Facebook has over the security of users’ data. First, hackers found a loophole in the ‘View as’ feature and exposed almost 50 million accounts. Then, a bug allowed third-party apps to access users’ photos (even ones they never posted). Recently, we’ve learned that Facebook shared private user data with 150 partners. Research shows that social media ‘activates the same part of the brain as cocaine’ and is highly addictive. This doesn’t erase you from the social network but hides your profile from friends and search. It’s like taking a short vacation: you can come back anytime you want and find everything exactly as you left it. It’s a good option when you need a break, if you want to try living without Facebook, or if you want to delete your profile but continue using Messenger. Click on the triangle dropdown icon at the top right corner of your Facebook page. Choose ‘Deactivate Your Account’ option at the bottom of the menu. Remember that you can reactivate your account anytime by simply entering your email and password. Your profile will be restored completely. It’s a good starting point if you’re not fully ready to say goodbye to Facebook. 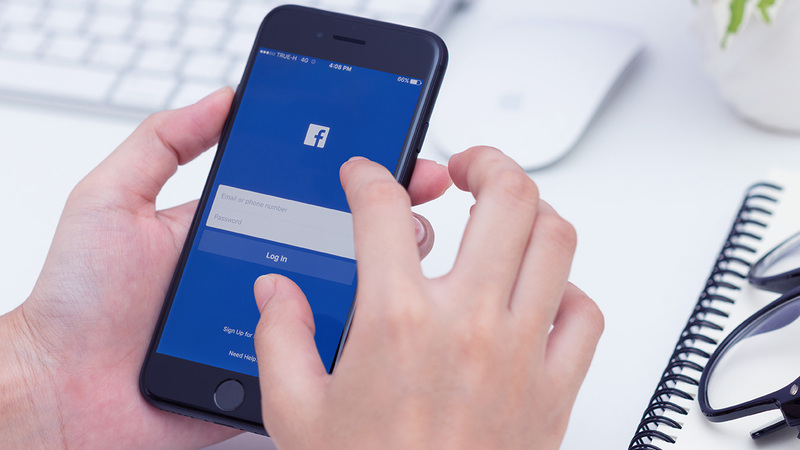 You might also want to test what other platforms are connected to your Facebook profile as you will need to create new profiles using your email address once you fully delete your Facebook account. If you are serious about quitting, you can choose to erase your profile together with all the information, saved articles, pictures and messages. Remember that after your account has been deleted, you won’t be able to log in and retrieve anything you left there. Here you can choose what type of information you would like to keep and click ‘Create File.’ This process may take a while. Select ‘Delete Your Account Information’ and confirm the deletion. Leaving is difficult, but you can do it! Once you complete the deletion process, your account is immediately deactivated. However, Facebook won’t let you go that easily and you will have 30 days to change your mind. If you wish to cancel your request, simply log in with your password and email. It will also take up to 90 days for all the things you have posted, liked and shared to be cleared. And even when all is done, some of your information will remain online. This includes pictures of you on your friends’ walls or your messages in their inbox. If you want to vanish completely, you will have to contact them and ask them to remove this data. If you really want to get away from Facebook and its traps, you might also consider deleting Instagram. For full instructions on how to temporarily deactivate or fully delete your Instagram, click here. To get more cyber security tips and news once a month right in your inbox, subscribe to our newsletter below.